There are two methods to ensure a PLS-CADD XML Export contains all of the Required Information. The Automatic method can prevent the need to run PLS-CADD > File > Export > XML twice in the event any tables were not marked for export. 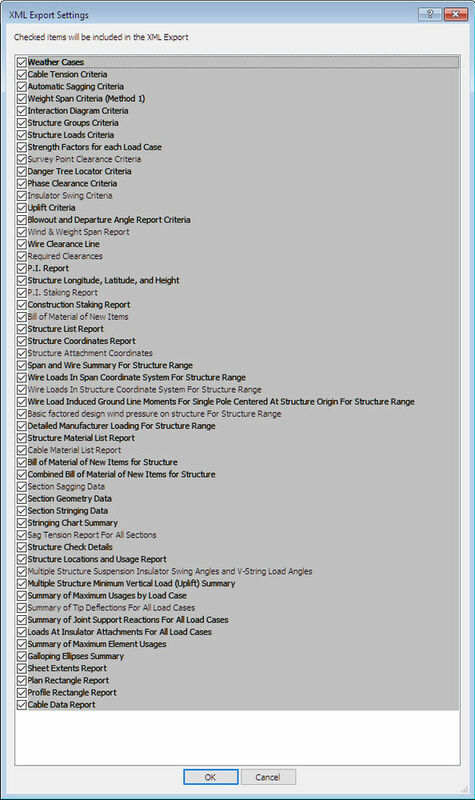 This comes in handy when running an L3/L4 analysis on a line with many structures. If you’re expecting an analysis to take 30 min + to run, using the automatic option helps ensure the XML file will work the first time. 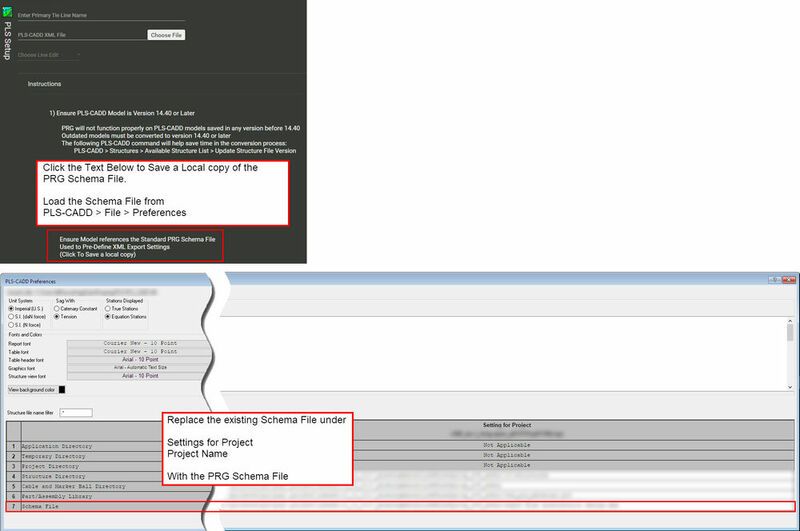 Load the standard PLS-CADD Schema File stored in PRG. Using the standard SMA file ensures the XML Export contains all of the required tables on the First Export. This prevents the need to run Export > XML twice in the event not all the XML Tables are Selected on the first export operation. The simplest option is to select ALL Tables in the XML Export Settings. PRG extracts data from some of the largest tables in this list (Sag Tension Report For All Sections), so there is not a significant difference in XML file size if only the required tables are selected.